Why Do I Need Travel Insurance In Japan? Cost of an air ambulance from Japan back to Australia. The average cost of a weekly hospital stay in Japan in ICU. Cost of repatriation on a plane from Japan to Australia. 1. Over a quarter of Aussies think the government will pay their medical bills overseas. But in Japan, you’re the one who’ll need to pay upfront for your doctor’s visits, hospital stays, and medication. 2. 9 in 10 search and rescue operations in Japan ski fields were for Australians. 3. Japan is ranked fourth in the world for exposure to natural disasters, and the country is vulnerable to typhoons, earthquakes, floods, tsunamis, volcanoes, cyclones and storms. 4. In 2015 there were 23.1 million mishandled bags around the world, with 25% of Japan 1Cover claimants losing/damaging their luggage in 2017/18. Travel insurance can't prevent things from happening. But if you have 1Cover, you'll have someone there when one thing goes wrong. Keep reading to find out everything you need to know about travel insurance for Japan. What Are My Travel Insurance Options For Japan? If you're travelling on a budget, and looking for cheap travel insurance to Japan, then 1Cover’s Medical Only policy offers a cheaper alternative to comprehensive travel insurance. It's our most basic policy and will only provide cover for any medical expenses and emergency assistance costs. Do you travel more than once a year to Japan? Then it might make sense to buy a multi trip annual policy. This works just like our comprehensive cover (detailed above), except you can take as many trips as you want in a year and you’ll still be covered. Will You Pay My Hospital Bills If I get Sick Or Injured In Japan? In circumstances where the claim is approved, we can then provide written guarantees of payment of reasonable expenses for emergency hospitalisation that may be required while you are in Japan. Am I Covered For Off-Piste Skiing & Snowboarding in Japan? What Do I Do If I get robbed in Japan? I’ve reached Japan and the airline Has Lost My Luggage. Will 1Cover Replace The Items? Can I Apply To Extend My Travel Insurance Policy while I’m in Japan? Yes, of course. If you want to extend your policy while you’re in Japan, the easiest way to do this is via the Policy Manager. Make sure you extend your policy before it expires (please keep in mind Australian AEST/AEDST). If you have trouble, you can email us at [email protected] or call us on 1300 192 021. Travel insurance provides cover for weather events as long as they are unforeseen. If you do get caught up in an unforeseen event while you are in Japan and you are injured or your trip is interrupted, 1Cover can assist. I travel to Japan a few times a year. What’s the best policy for me? Do you cover seniors travelling to Japan? Am I Covered If I'm Pregnant When I'm Travelling To Japan? If you're travelling to Japan while pregnant, you are covered for single foetus pregnancies, up to, and inclusive of, the 24th week of gestation. For multiple pregnancies, you'll be covered up to and inclusive of the 19th week of gestation. If you have had complications fromyour pregnancy, you’ll need to complete a medical screening. We will assess your application and decide whether, and to what extent, we can offer you insurance for your pregnancy and/or journey. If you have not told us about the circumstances of your pregnancy when you were required to do so, we may refuse your claim or reduce it to the amount we would have paid had you given us the required information. Khoa ended up with a bacterial eye infection while on holidays in Tokyo. He was admitted to hospital, where he stayed overnight and received IV antibiotics to clear the infection. Despite only spending one night in the hospital, the medical and treatment expenses added up to nearly $26,000 which 1Cover took care of. I'm Really Happy With The High Level Of Care & Service Provided. A nasty snowboarding accident in Happo-Hakuba brought Gina’s trip to an early end and left her with a fractured tailbone and in a lot of pain. 1Cover covered $12,000 for her medical expenses, transfers, and flights so Gina and her partner could come home early. I was alone in a foreign country but i felt fully supported. When Robin’s flight from Tokyo to Sapporo was cancelled with no guarantee of a flight for two days, she decided to take the almost 10-hour train ride to Sapporo. That train was then cancelled due to bad weather, and Robin was stuck for two days until the trains were back on line. 1Cover was able to reimburse Robin the cost for the train tickets and additional accommodation. Claiming for my train tickets was a breeze - unlike dealing with the airline! How Will Travel Insurance Help Me In Japan? If you get sick or injured while you’re in Japan, we’ll be there to cover any unforeseen medical expenses, including hospital stays, medicine, or emergency evacuation. Last year, almost 1 in 10 1Cover Japan policyholders needed reimbursement for trip cancellation. If your plans change before you head overseas, we’ll cover cancellation fees and lost deposits. 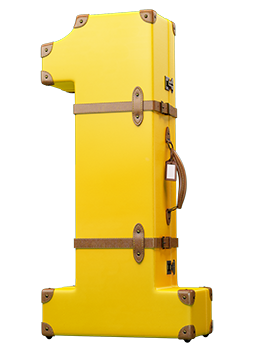 Lost or delayed luggage is a common travel problem. We offer up to $15K for lost or damaged bags or belongings. This means you can travel worry-free with valuable items such as cameras, laptops, or glasses. 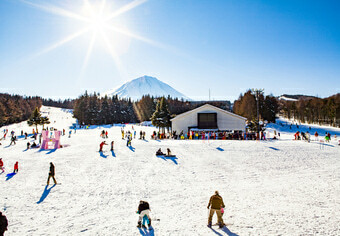 If you’re travelling to Japan’s famous ski-fields, make sure you add-on a Winter Sports Pack to your insurance. It covers things like damaged ski equipment, weather delays, and piste closure. If you’re getting out of the city and in to the Japanese countryside, you might need a hire car. But remember, if you don’t have travel insurance, and something goes wrong, you might be liable for hefty rental vehicle excess. Typhoons, landslides, earthquakes, and tsunamis have all hit Japan in recent years. If your trip is ruined because of a disaster, we can assist – but always check the news and our travel alerts before booking your trip. Whether it’s to zip along Tokyo’s streets or traverse country mountains, a rental bike is a great way to see Japan. Wear your helmet, follow the local road rules, and you’ll generally be covered. Cruising brings a certain set of risks, including on-board illness, lost items, cancelled day trips, weather delays, and more. If you plan on cruising in Japan, you might need our Cruise Pack add-on. Think you’ve got a cast iron stomach? 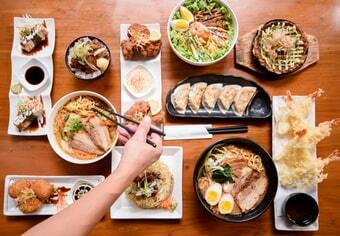 Sit down to this Japanese delicacy and see what you’re made of. Are you up for the challenge? You’ve probably heard of Niseko, Hakuba, and Nagano. But it’s likely you don’t even know about this epic resort in the very north-east of Japan. 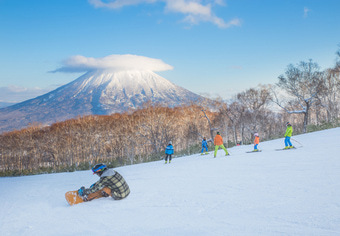 Are you snowboarding for the first time while in Japan? Then here's the one bit of advice every snowboard beginner needs to know. We hope nothing goes wrong on your trip to Japan. But if it does, the resources in this section can help you. Australia has an Embassy and several consulates throughout Japan. These offices provide a range of services to the general public, including consular, passport, visa and immigration, citizenship and cultural relations services. You can visit the Australian Embassy in Tokyo, or the Consulate-General in Osaka or Fukuoka, or the the Consulate in Sapporo. Be informed. Be prepared. If you're across The Australian Government's SmartTraveller website, you'll have all the latest information for your trip to Japan. SmartTraveller is a trusted resource for Australian travellers and is updated regularly, so make sure you bookmark this handy resource. If you need emergency assistance in Japan, please call our 24/7 emergency medical assistance line on (+) 61 2 8776 3010 or email [email protected]. Planning an Activity In Japan? Take the road less travelled and catch a glimpse of authentic Japan. 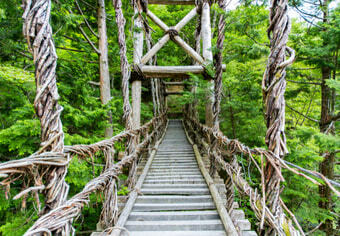 Oku Japan runs both guided and self-guided tours to some of Japan’s most spectacular spots and hidden gems. 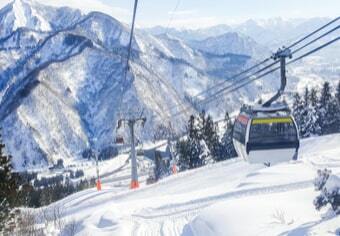 Eager to carve up Japan’s epic ski runs but don’t know where to start? Head across to Japan Holidays and let their team sort you out with all you need for an unforgettable trip. Fancy yourself a singer? 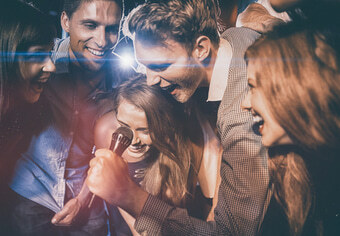 In Japan, there's no shortage of karaoke bars, from futuristic private rooms or classic bars. Here are just a few to choose from.